I'm a fan of Hey!Say!JUMP. My 一番 is 山田涼介. Lacking talent to regularly write fanfics so I write mostly reviews, then some rants and personal stuff. EDIT: INFORMATION POSTED HERE ARE STILL SOMEWHAT RELEVANT, BUT FOR THE MORE UPDATED TUTORIAL, KINDLY HEAD OVER HERE. I DON'T THINK I COULD UPDATE THIS POST ANYMORE. Credits to kattunlove and mi_chan176 for most of the information used in the making of this tutorial. IMPORTANT: Use Internet Explorer when signing up! If you use a different browser, CLUBBOX will tell you that something is wrong with your Date of Birth (exactly what happened to me! ;A;) and will not let you make an account. Right-click the image and click Open link in new tab to view fully. 1. 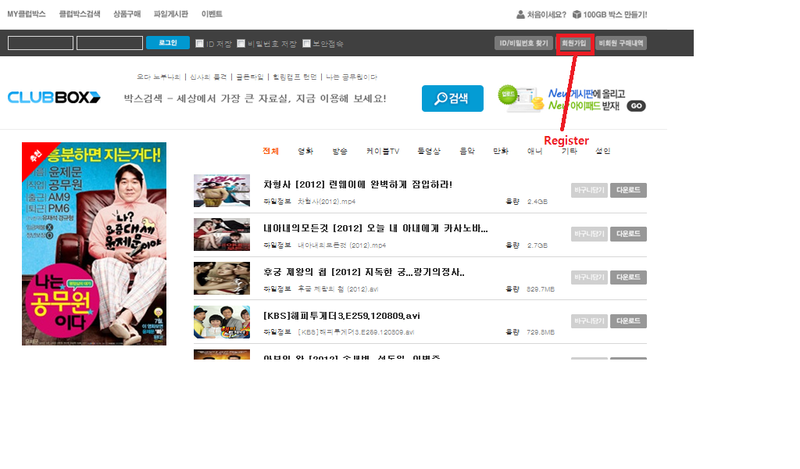 Click on the Register button on the main page. 2. Tick the two check boxes on the succeeding page and click Agree. 3. On the next page, click on Overseas Registration. 4. Fill out the needed information and click Continue. 5. Your information summary and retrieval code will be shown in the next page. Tick the check box next to them and click Finish to complete registration. 1. Download the Clubbox setup here. Install the file. 2. Go to the home page and log in. 3. Type in the search bar the keywords to the file you want to download and click the Search button or press Enter on your keyboard. 4. On the Search Result page, click on the preferred file or tick the check box(es) and click Download. 5. A pop-up box will appear with the details of your download. Click Download. 6. A series of pop-up boxes will show up until you get this one. Kindly close this unless you have purchased download certificates for quick downloading. NOTE: For users downloading for the first time, you may be prompted to download the CLUBBOX File Transfer Manager before proceeding. 7. Your download will now proceed. Click on START if the download has not started yet. NOTE: If you have multiple files running you will have to wait for the one to finish first before you can start downloading the other(s). - Do not close the file manager until you finish downloading, or else you will have to start over since the download file(s) will be automatically removed from the list. (Plus, you get the chance to accumulate Mileage points, which can be used to exchange goods on CLUBBOX) EDIT: You can actually resume downloading from Clubbox! Do not delete the two files formed from downloading and download the same link again from CLUBBOX. It shall pick up from where it was before you closed the file transfer manager. Oh, I guess you won't have to worry about that (for now). That happened to me in the past as well, but in a matter of days the points reappeared as usual. So maybe it's just a CLUBBOX glitch. I've only created an account today but I'm having a problem and I can't seem to find a working solution anywhere and since your toturial is the latest that I've found, I hope you'll be able to help me figure this out. Like I've already mentioned, I've created an account and I've got the software, but when I try to download anything, the transfer rate stays at 0. I found in some old tutorial someone saying that I should delete whhatever I have downloading including the temp files created, restart clubbox and try to start with downloading smaller stuff till my computer and server get used to clubbox. I wasn't very convinced but I tried anyway and I went as small as trying to download a 20 Kb file, but still 0!!!! Please can you think of anything that would help me?! Ugh! When I use the VPN software, the download permit page (the one that pops after pressing downlaod) doesn't load and the clubbox software doesn't open either! I give up! Hmm, I guess that's an idea; I can try to use a cafe's wifi or so though that would mean I can only dl short clips if any since the only decent Internet connection in this whole country is my university's. How ironic! Whoa... I haven't seen those kinds of errors before, but... hmm. Maybe these days CLUBBOX is running some kind of a general bug? 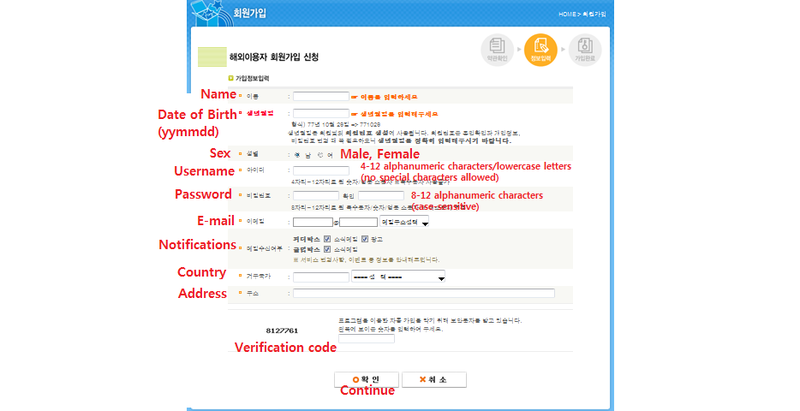 I've got the same problem as his OTL The verification code seem broken and I've tried creating an account for a couple of times already. Hmm but even though I promised to try making an account I've almost neglected my CLUBBOX account and haven't visited the site for a long while now orz (I mostly use the site to download the first few SK episodes and I lend the account to fellow subteam members HAHAHAHAHA). But I'll check right away! But if I get desperate I might ask someone, a korean classmate, to lend me the "national id" so I could register an account. OTL But I hope I won't get to this point 'coz I'm just too shy to ask them. I don't really mind waiting but I'm hoping for a positive update though XD Thanks again! And OH! Where are you from? So this means Clubbox is back to normal now? There is something wrong with clubbox before? Oh, I read it but no worries, they might be can made an account there now. Btw, I just tried to download some files from there. Like what you said, I prompted to download clubbox file transfer manager but after I download it, no more boxes out and the download didn't start. Is it because I used download manager? Hmm, sadly I don't use Weibo. Gomen ne? Idk, I'd rather with Clubbox than Weibo. Seems like I can stand Hangul more than pure Kanji, orz.